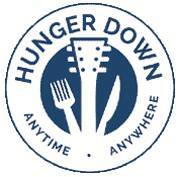 The Parlour is proud to be an inaugural member of Hunger Down. As a member, we will be collecting non-perishable food items and cash contributions at all events held at the Parlour. From time to time, we may run special promotions for those making donations so watch our social and online media for any announcements. With one in eight Rhode Islanders going hungry or having food security issues, Hunger Down is an important program to not only increase food donations but get the word out about the need to strengthen efforts to reduce hunger in Rhode Island as well as all over the world. Please help us get the word out about this effort and encourage others to donate when they attend events, and encourage other entertainment venues to participate. Please view the temporary Hunger Down website (http://www.hungerdownri.com) for information about the program, artist and venue supporters, other hunger relief activities in Rhode Island and how you can get involved. 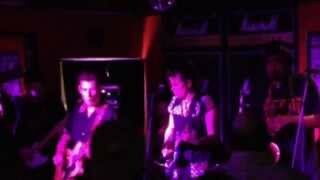 Promotes the ongoing collection of food and money at music, entertainment, and other venues to reduce hunger and increase food security throughout Rhode Island. The Hunger Down kick-off event is St. Patrick’s Day with Sharks Come Cruisin, The Sweet Release and The Z-Boys!! !